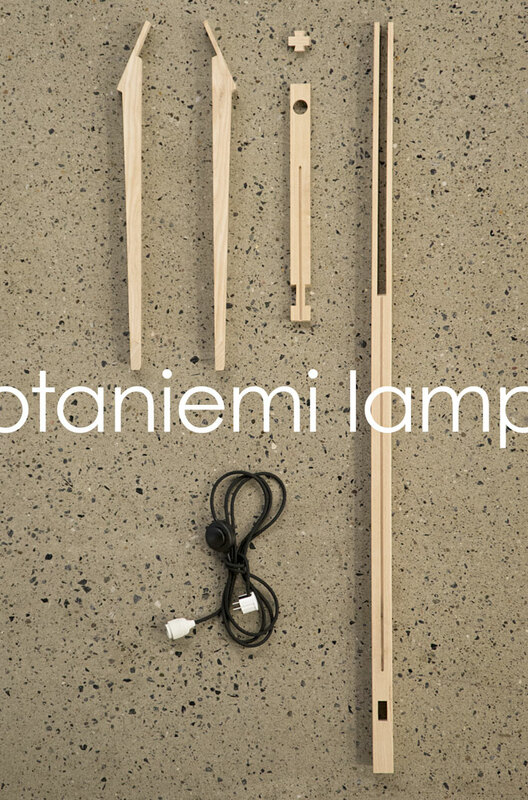 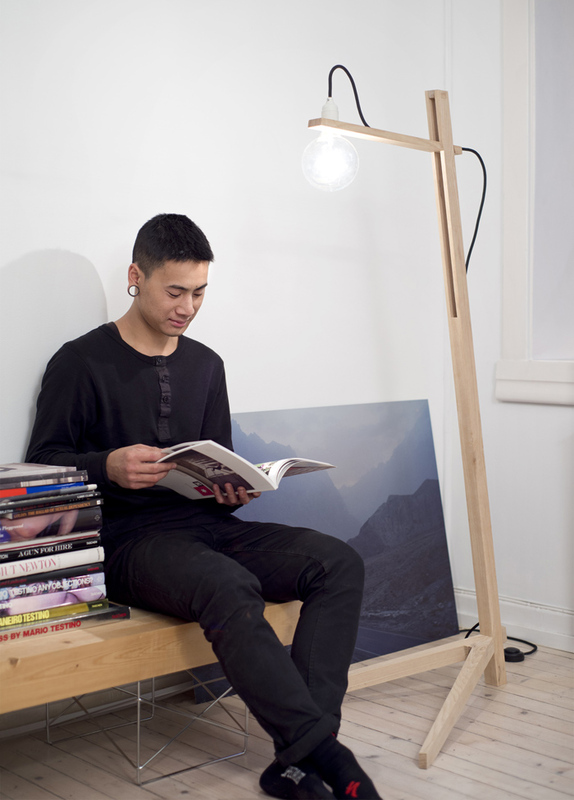 ‘Otaniemi lamp is a floor lamp created with a minimum of different materials, and it is built and assembled without any glue or screws. 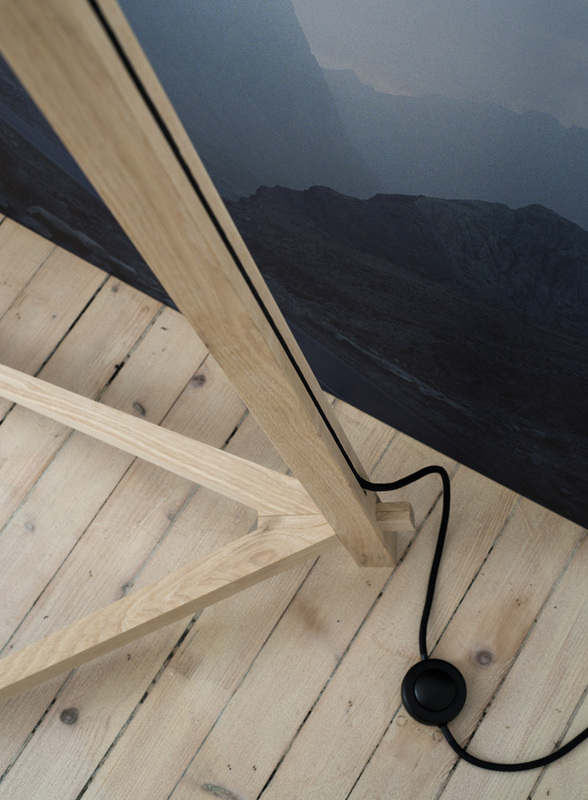 Only a few minutes is needed from flat packed to plugged in – even for someone doing it for the first time. 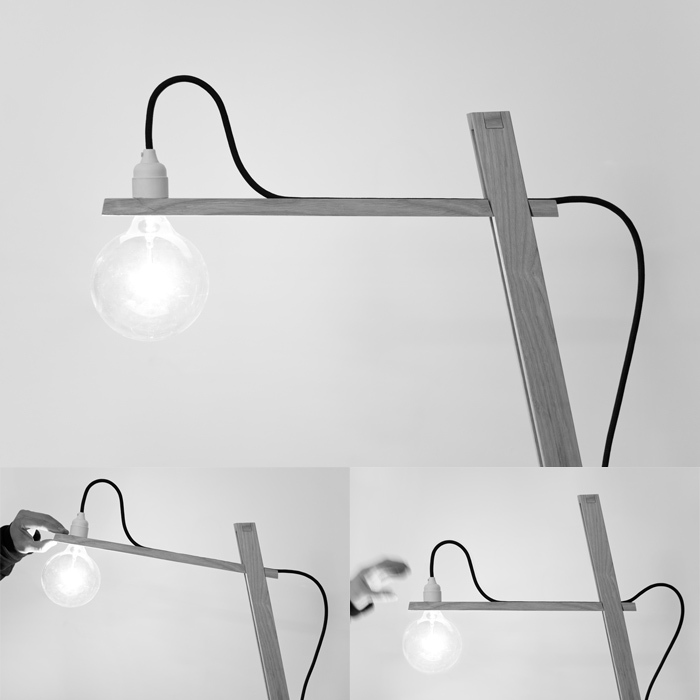 The angled shape is more than a visual twist, it is the main concept of the height adjustment that uses gravity to rest in position.